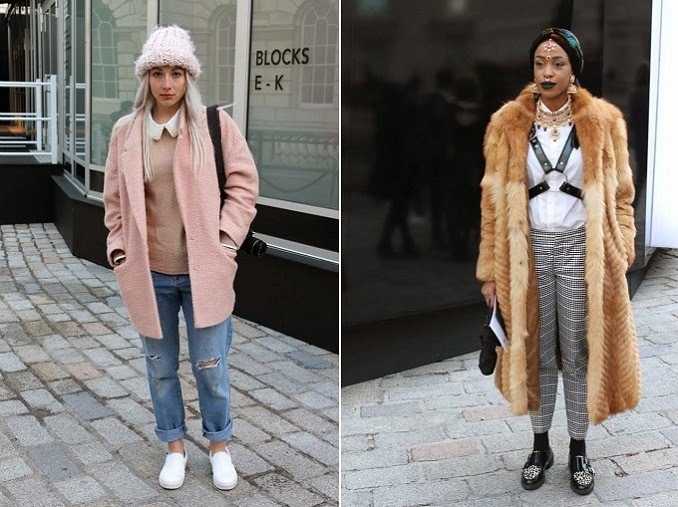 fashion week, the time all the fashionistas dress up in their most beautiful and individual outfits and head towards somerset house. their mantra is: "see and to be seen". of course i jumped at the chance to shoot some street styles. 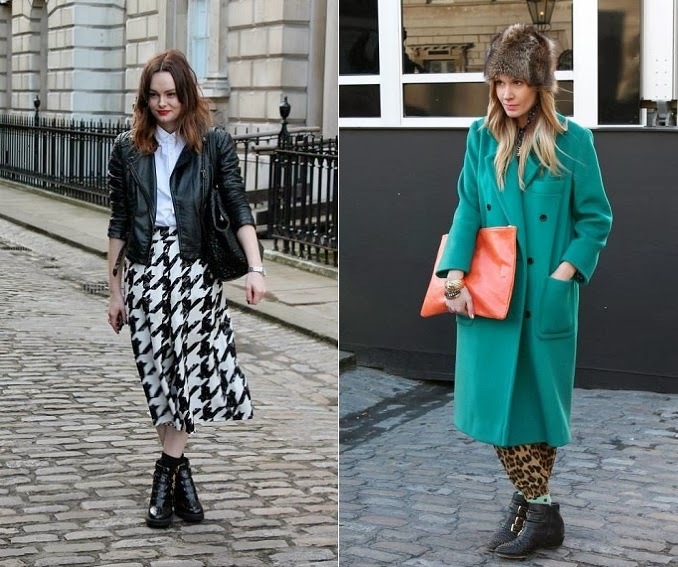 my favourite outfit is definitely the first one with the black/white midi skirt. i love every single piece of it and her hair. what do you think? 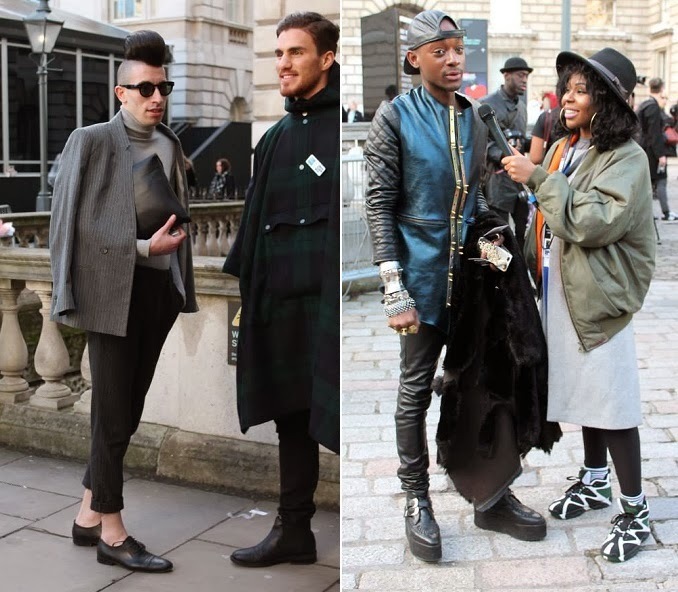 are you also dressing up for fashion week? some of these outfits are too much....I like the first one and the coat in the second pic..
i really love the second look- fantastic! wow, some of these are a bit too crazy for my liking. But some individual pieces are awesome. The green coat for example!! !